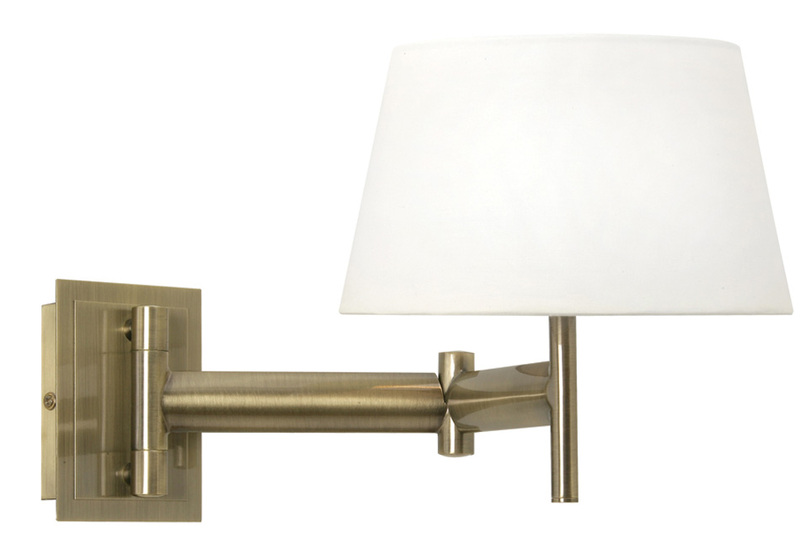 From our collection of bedside and swing arm wall lights. An antique brass switched bedside light which will fully extend to 340mm. Fixed to the wall from an oblong shaped wall mount this substantial, chunky look, wall light has two working joints which create maximum flexibility. Finished in a soft antique, brushed brass and complete with a hard lined white lamp-shade. Pull cord on/off switch with a brass toggle to finish the pull. (Not illustrated).